The fascination with all things Jeep starts at a young age. Every rugrat loves the Jeep, and no toy box is complete without at least one plastic Jeep. Over time tough, some of us that lose that Jeep fetish. Maybe it is practicality, or maybe the Jeep is simply not for everyone. Personally, I’ve never wanted a Jeep. Until now. The Jeep brand almost pulled a New Coke move a year ago when it introduced the all-new Jeep Cherokee. The old Jeep Cherokee, discontinued in 2001, was much loved for its body-on-frame design, classic boxy look, and Spartan interior. The new Jeep Cherokee is none of those things. Add in a front end with squinty little headlamps, and you have the perfect recipe for Jeepsters to go completely off the deep end. Except for one little detail. The Jeep Cherokee so many made such a fuss about, is now Jeep’s top seller. In fact, within the Jeep, Ram, Chrysler, and Dodge brands, only the combined sales of all Ram trucks beat the Jeep Cherokee’s January sales rate. So who likes it? I sure do, and it’s no accident. Jeep built this True North special edition with we northerners in mind. 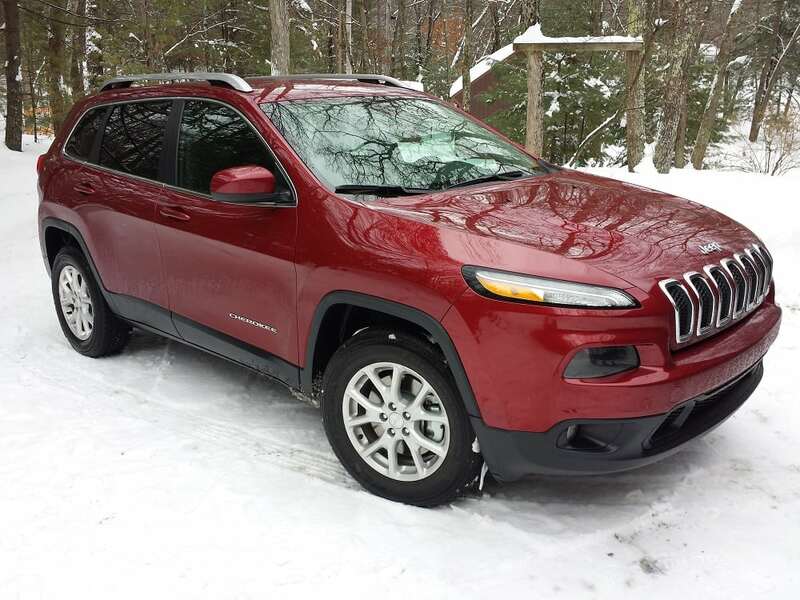 My 2015 Jeep Cherokee Latitude True North Edition 4X4 tester arrived mid-snowpocalypse here in the NorthEast. Forty inches fell, and the Jeep Cherokee stepped in and showed just how good a properly designed, well thought out compact crossover can be in the worst New England weather. During the week I drove this Cherokee, I told as many people as would listen that this thing is the best snow vehicle made. By comparison, I own an ’07 Highlander with all-wheel drive on which I have winter tires. This Jeep on its all-season Firestone Destination tires was better in the snow, something I did not think was possible. The 2015 Jeep Cherokee Latitude V6 has 271 hp. 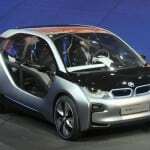 Its 3.2-liter engine is coupled to a 9-speed automatic transmission. Together they deliver plentiful, smooth power. Merging onto highways without being able to see properly due the high snowbanks is made much easier when you know you can quickly match speed with the cars that might be in that right lane. Around town, you never think about this drivetrain. 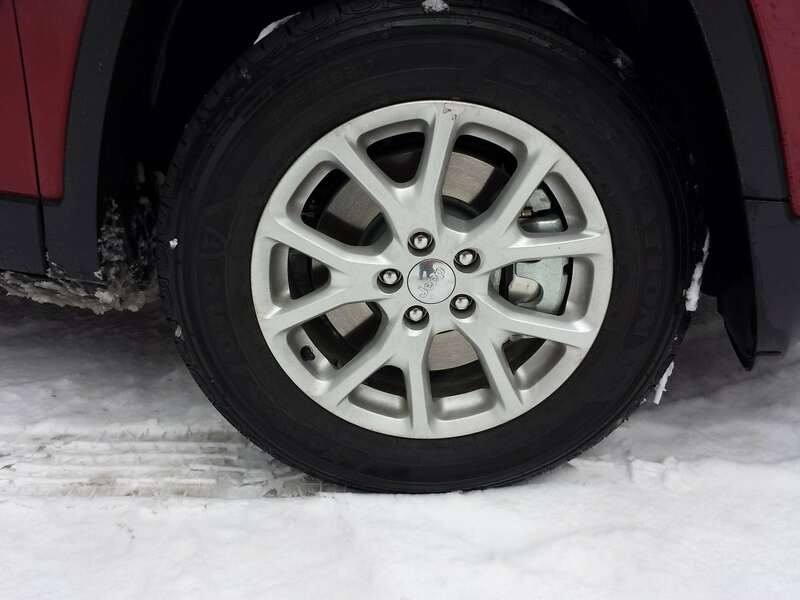 It is all-wheel drive, and you need not do anything to enable its snow capability. 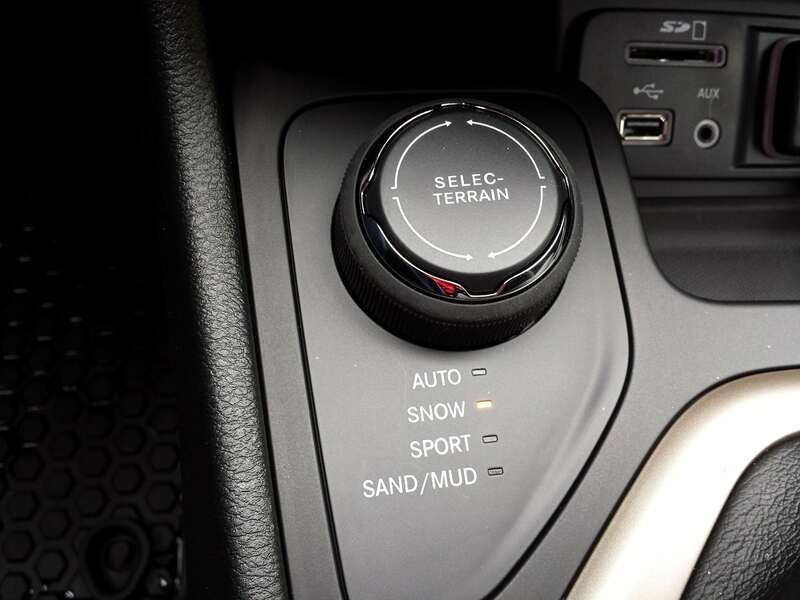 However, there is a rotary knob with different terrain settings, and one is snow. Selecting that does seem to change the character a bit, but after a few trips I just let the Jeep decide what was right by leaving the AWD in Auto. 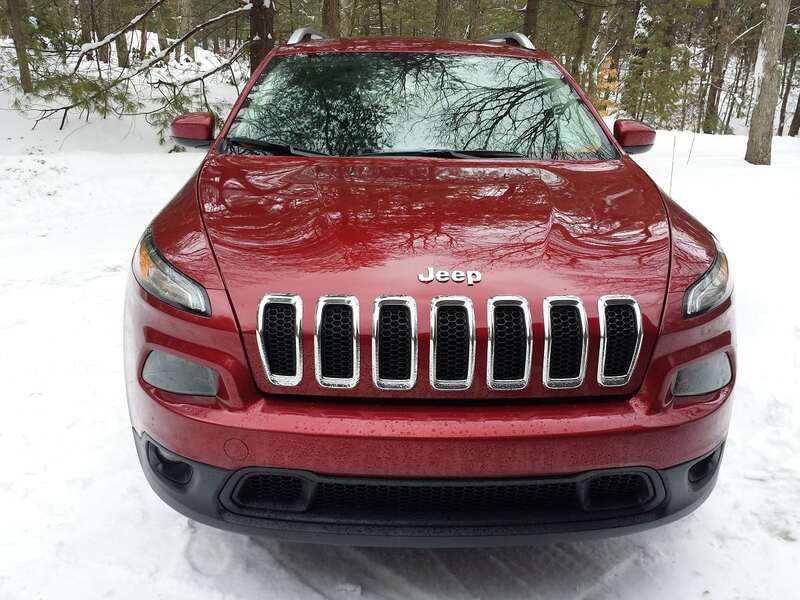 The True North edition of this Jeep Cherokee has things that a person struggling with snow fatigue will love. 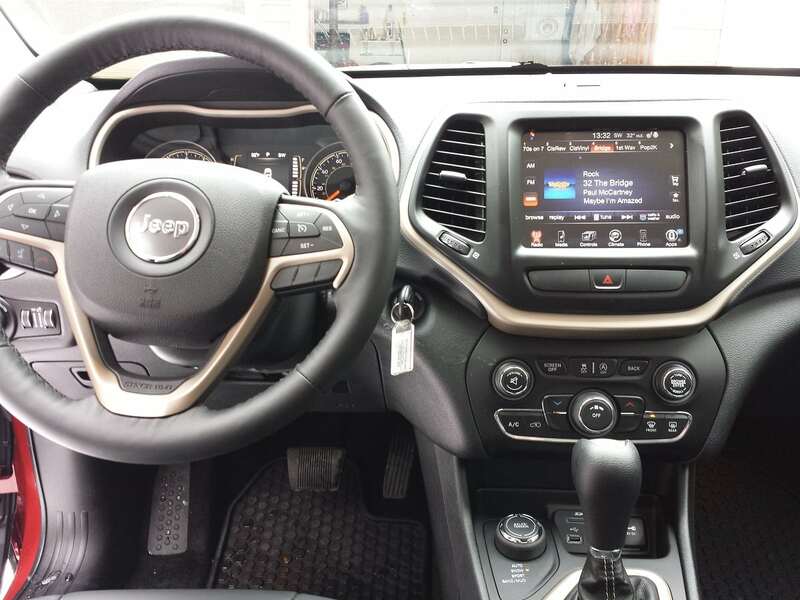 Aside from the great tires and amazing all-wheel drive system, this Jeep has a heated steering wheel which means no gloves needed on cold mornings. 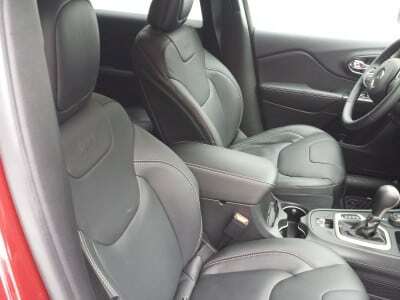 The heated front leather seats are so hot they are therapeutic. These are just the thing for a back sore from shoveling. The front windshield and mirrors also have heating elements to help you de-ice without scraping, and the Cherokee can be started remotely. There is even an engine block heater in case you want to plug in your Jeep. The interior of this Jeep is so comfortable it should be studied by other automakers. The dash had the Chrysler group’s fantastic infotainment cluster that may well be the best in the business right now. It is actuated by a touch screen so intuitive, one never needs to use the owner’s manual. The audio quality is superb. 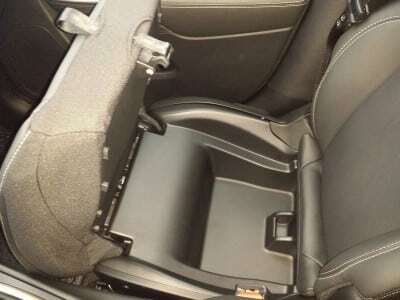 One of the neatest interior features is the passenger’s seat bottom. 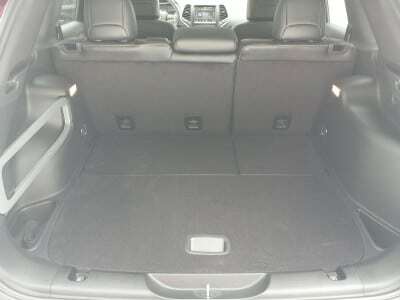 It pulls up to reveal a storage area that can swallow a purse, tablet, or small backpack. This is a great way to keep thieves from seeing something valuable. The back seat is spacious. 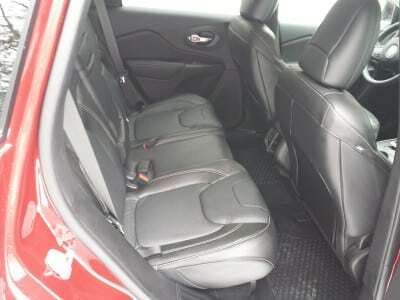 You do need to move up the front seats a bit for adults, but that is typical of the class. The rear storage area is well thought out and a compact spare is under the cargo floor. If there is one area this Jeep can do better it is gas mileage. 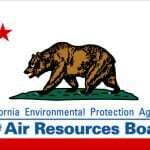 The EPA estimates drivers will get a combined 23 MPG, and I did get that on winter blend gas. 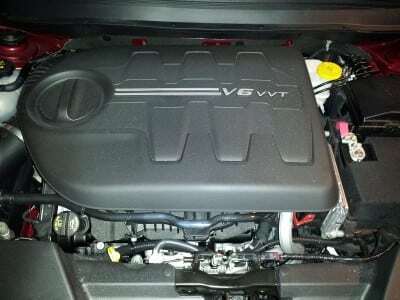 On the other hand, this V6 Jeep has more power than one needs and that makes it a standout in this type of vehicle. The Jeep Cherokee aced all the agency crash tests thrown at it. The Cherokee is also available with superior-rated forward crash prevention and other driver assist functions I recently tested on a Grand Cherokee and found to be very easy to live with. Opt for the safety package, it is well worth the money. Jeep went to great lengths to make this a vehicle those in its target market, the Northeast, will love. Some Jeep fans may still lament the passing of the old Cherokee, but it is hard to argue this Jeep is not the company’s best vehicle for our unique form of wicked winter weather. 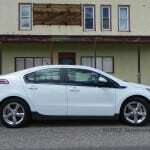 John is an automotive journalist living in the Northeastern United States. 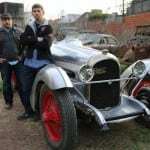 A former engineer, Goreham brings a unique, logical perspective to automotive.